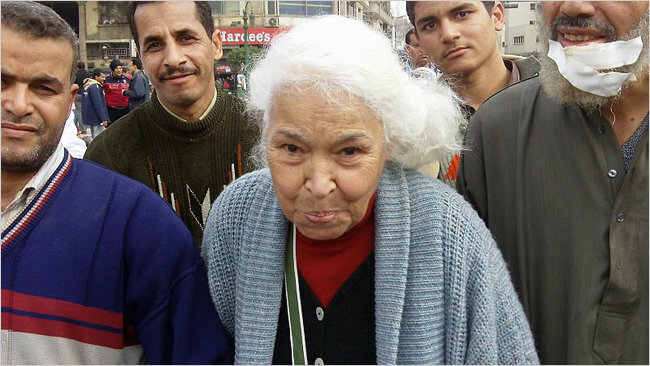 Where is Feminist activist Nawal el-Saadawi during the uprising? 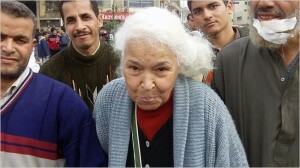 talks to Nawal el-Saadawi in Tahrir Square, Cairo. In the center of Tahrir Square, also known as Liberation Square, I bumped into one of my heroes, Dr. Nawal El Saadawi, a leading Arab feminist who for decades has fought female genital mutilation. Dr. Saadawi, who turns 80 this year, is white-haired and frail and full of fiery passion. “I feel I am born again,” she said, adding that she intended to sleep with the protesters on Tahrir Square. She also suggested that instead of being sent into comfortable exile, Mr. Mubarak should be put on trial as a criminal; that’s a theme I’ve heard increasingly often among pro-democracy activists.